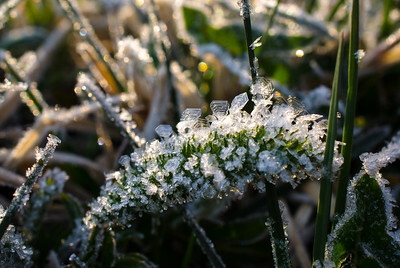 Up-close pictures of the small world around us; includes subjects such as insects, flowers, dew and frost. 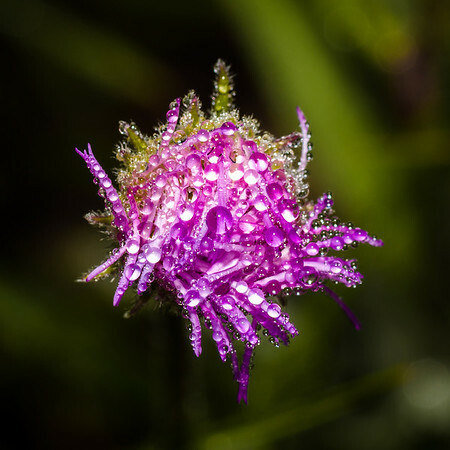 Morning dew on a flower at Valles Caldera National Preserve in New Mexico. 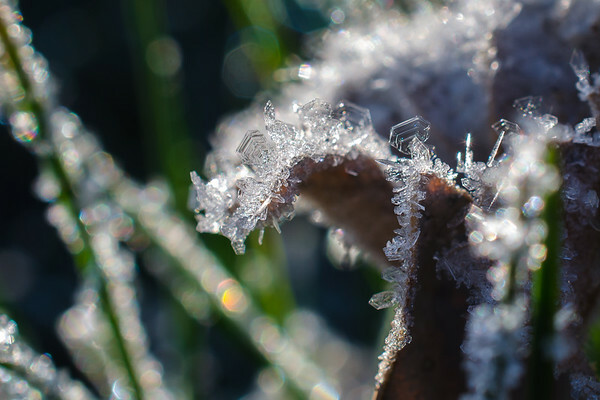 Frost forms on plants at Valles Caldera National Preserve in New Mexico. 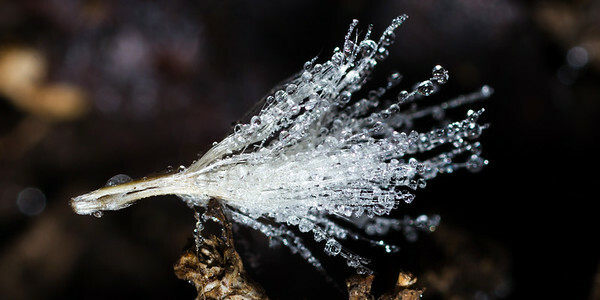 A dandelion seed covered in frozen dew at St. Edward's Park in Austin, Texas. 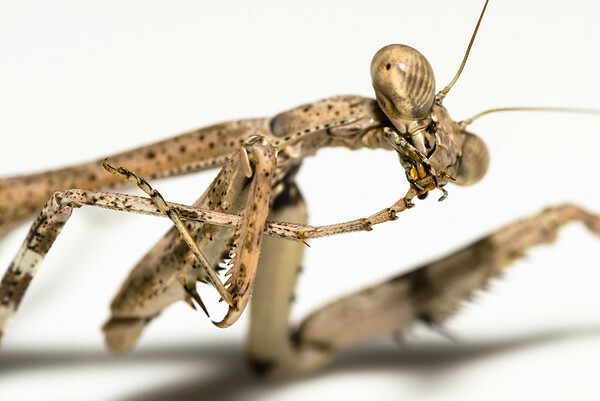 A praying mantis in Austin Texas, placed on a white plate and posing for the camera before being released. 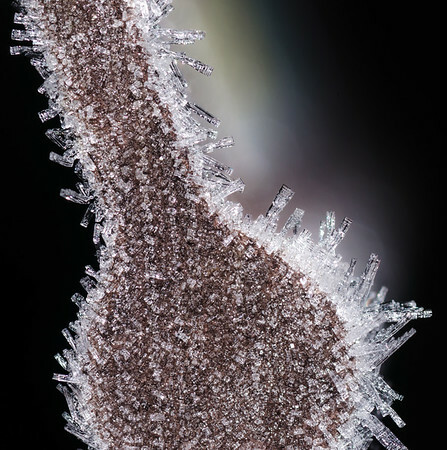 Frost forming on a wooden trail marker at St. Edward's Park in Austin, Texas. 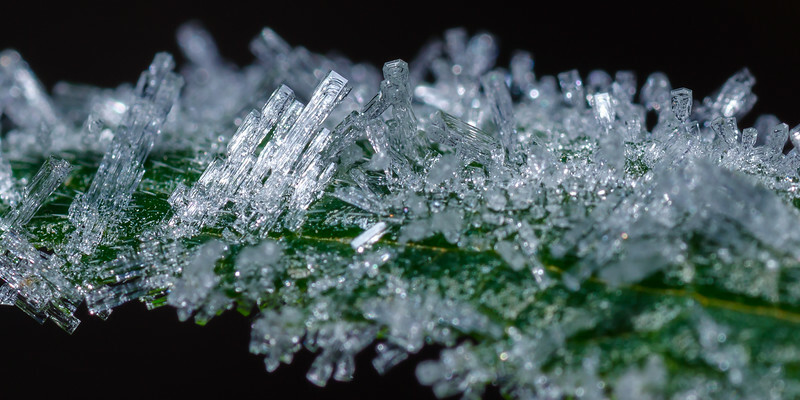 Frost forms on a leaf at St. Edward's Park in Austin, Texas. 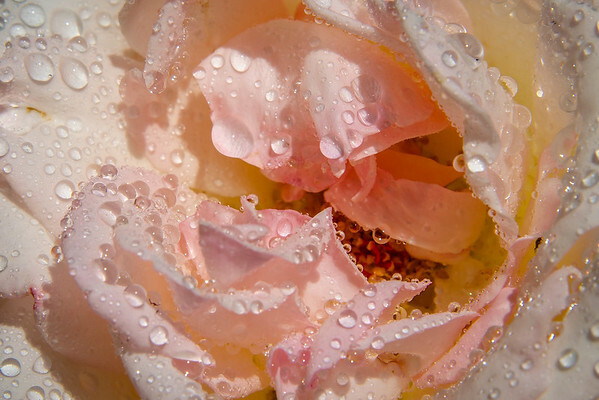 A pink rose covered in water droplets after a monsoon rain in Los Alamos, New Mexico. 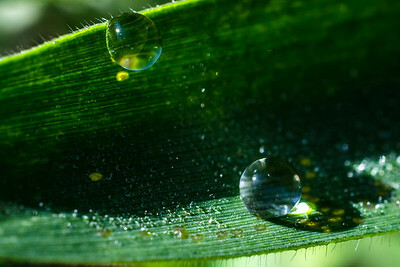 Dew on a blade of grass at St. Edward's Park in Austin, Texas. 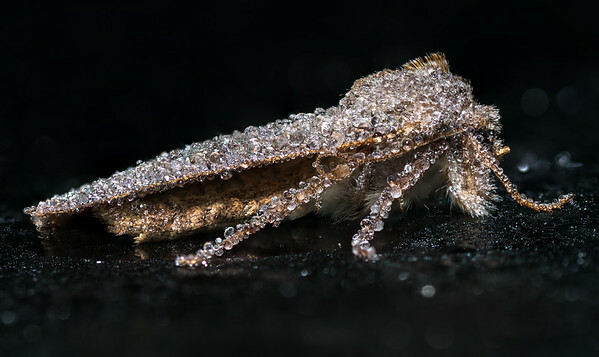 A type of longhorn beetle, found in Austin, Texas and photographed while walking across a white plate.